Ross served an apprenticeship with Old Tom Morris in St Andrews before investing his life savings in a trip to the U.S. in 1899 with the encouragement and support of Harvard astronomy professor and Salem and Petersham, Massachusetts resident Robert W. Willson, who helped him obtain his first job in America at Oakley Country Club in Watertown, Massachusetts. In 1900 he was appointed as the golf professional at the Pinehurst Resort in North Carolina, where he began his course design career and eventually designed four courses. He had a successful playing career, winning three North and South Opens (1903, 1905, 1906) and two Massachusetts Opens (1905, 1911), and finishing fifth in the 1903 U.S. Open and eighth in the 1910 Open Championship. As his fame grew, he began to teach and play less and to focus on golf course design, running a substantial practice with summer offices in Little Compton, Rhode Island. At its height, Donald J. Ross and Associates, as his practice was known, oversaw the work of thousands of people. However, Ross always kept up his professional golf standing. Ross displayed great attention to detail. Often he created challenging courses with very little earth moving; according to Jack Nicklaus, “His stamp as an architect was naturalness.” His most widely known trademark is the crowned or “turtleback” green, most famously seen on Pinehurst No. 2. Ross often created holes which invited run-up shots but had severe trouble at the back of the green, typically in the form of fallaway slopes. In the 1930s he revolutionized greenskeeping practices in the Southern United States when he oversaw the transition of the putting surfaces at Pinehurst No. 2 from oiled sand to Bermuda grass. Ross was a founding member and first president of the American Society of Golf Course Architects, which was formed at Pinehurst in 1947. He was admitted to the World Golf Hall of Fame in 1977, a high honor rarely awarded for anything other than playing success. 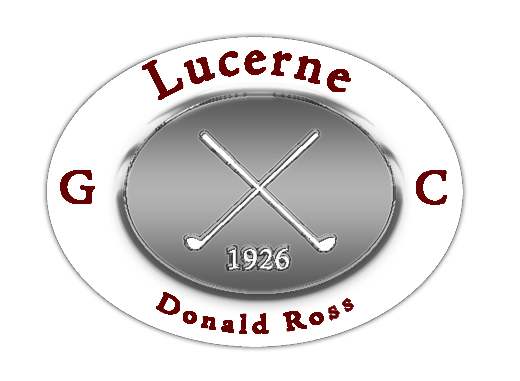 © 2017 Lucerne Golf. All rights reserved.